Cheung Hing is hidden in the back of the Vietnamese/Pho restaurant - you can't see it from the main street at all. Walk into the building and "Cheung Hing" is written in Chinese, big red letters on double glass doors to your left. CASH ONLY, typical Chinese place. It only holds 25 people or so. CH maybe look super ghetto & small, but this family run restaurant takes personal orders. 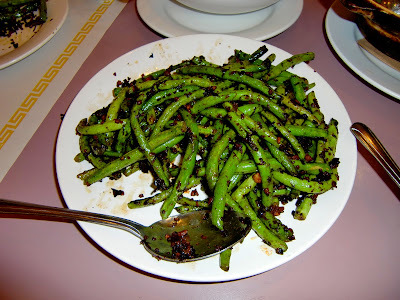 If you're feeling like some Chinese dish, you can just call them a day or two before and they will make it for you. Grandpa has been known to take over the whole restaurant and throw a dinner party here with his entourage/posse. Their address is at: 8450 Garvey Ave #103 Rosemead, 91770. 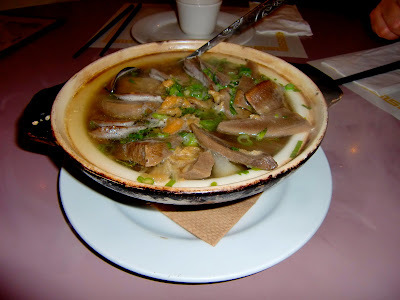 Here is their really good beef tongue soup with winter melon. Here is our order of Shark's Fin. It was pretty good quality considering it was only $9.99. 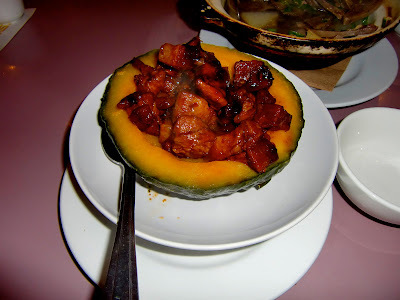 BBQ Pork in pumpkin! Yummy! Oyster Pancake. 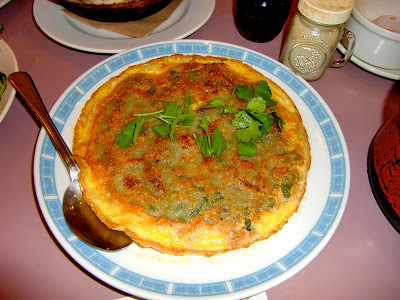 It was really thin, which was good but it couldn't compete with the oyster pancakes I've had in Taiwan. 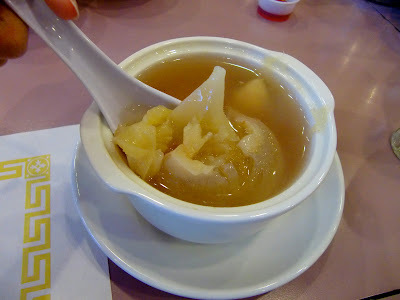 Here is their water chestnut dessert. Super yum! Overall this place wasn't as good as it was a few years ago, which is why I haven't been here in that amount of time. 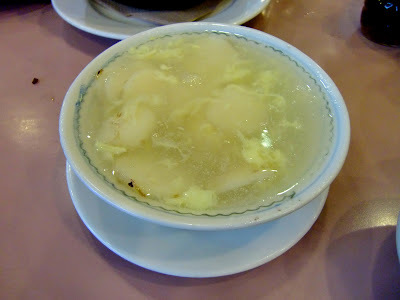 Cheung Hing wasn't bad though. I'm sure they have potential to return back to their glory days.